Why dunk your cookies in milk when you can dunk them in ice cream? 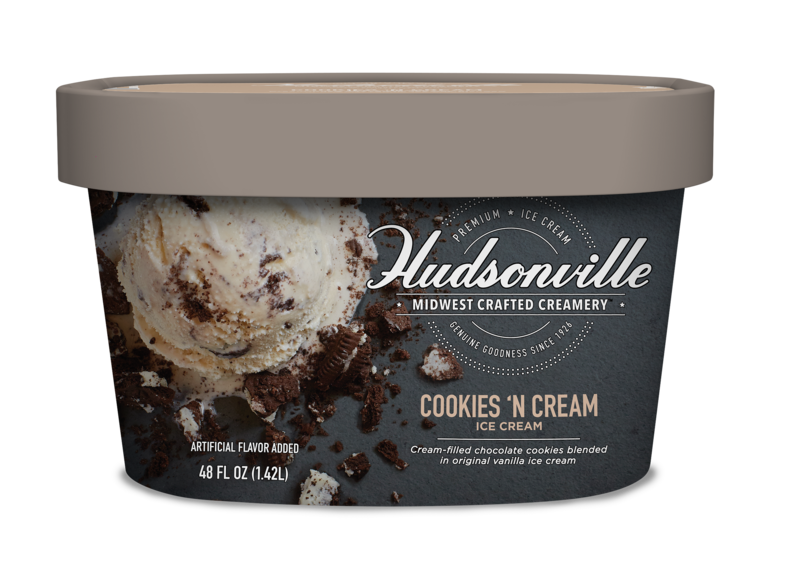 We blend chocolate cream-filled cookies into the velvety smooth sweetness of our vanilla ice cream for a rich, creamy, crunchy treat. Milk, cream, sugar, corn syrup, skim milk, whey, enriched flour (wheat flour, niacin, reduced iron, thiamin mononitrate, riboflavin, folic acid), soybean and palm oil, alkalized cocoa, invert sugar, mono and diglycerides, corn flour, corn starch, chocolate, cellulose gum, salt, leavening (baking soda, monocalcium phosphate), natural and artificial flavors, guar gum, soy lecithin, annatto (color), vanilla.